To the incredible mountain region of Peru called the Huascaran (pronounced Wa ska rarn) and explore with us the Cordillera Blanca (White Mountains). This Trail Running Tour starts with the Sierra Andina Mountain Trail Events (13k/30k/45k/80k) in the stunning Huascaran National Park, These courses run through the majestic Llanganuco Valley lakes region and traverse to Laguna 69 (4700m) the Pisco Base Camp and Paso (4900m), Portachuelo de Llanganuco Pass (4769m) and Punto Union Pass (4750m) as well as the World famous Santa Cruz trek. Running these routes through the High Andes is a truly rewarding experience that you will remember for the rest of your life. From here we leave the Huascaran region and take you to run the Peruvian Andes Trails around Cusco and the Sacred Valley while discovering the historical centre of the Incan Empire. We explore and run the stunningly beautiful trails in this part of the Peruvian Andes including the Legendary Abra Lares trail and the amazing Patacancha trail. This is a spectacular trip, starting with a High Alpine Mountain Trail Running event in a National Park around the Worlds Highest Tropical Mountain Peak region (Mount Huascaran 6786m), then visiting the World Heritage City of Cusco (3399m) and running the Sacred Trails in the Valley of the Incas before leading you to an unbelievable finish at one of the seven wonders of the world, the ancient Inca City of Machu Picchu. 14 Days/13 Nights – Price: $3450 USD Per Person (everything included) Fitness Level: Intermediate/Advanced – Group Size: 4 runners minimum, 14 runners maximum. Its very important you prepare and train for this high altitude running tour. You should currently be able to run your chosen distance. Or within a 8 week training block build up to run your distance in the last weeks of your training. Sight seeing Huaraz, the Markets, Plaza and Museums. Running the Sierra Andina Mountain Trail events to Laguna 69 (4700m) the Pisco Base Camp and Paso (4900m), Portachuelo de Llanganuco Pass (4769m) and Punto Union Pass (4750m) as well as the World famous Santa Cruz trek. Sight seeing the World Heritage City of Cusco the historic center of the Inca Empire (including 2 walking tours). Guided Tours of Moray ancient site and Mara’s Salt mines. Soaking in some incredible mountain hot springs. Guided Tour of Machu Picchu, the incredible ancient Inca Citadel. All Guided Tours are private personalized tours for just our group. This is a high altitude trail running trip and its important to spend some days to adapt and acclimate. So we have 4 days in and around Huaraz (3000m). The first few days include 3 hiking/running days so you ease into more activity, with a rest day before the Sierra Andina Mountain Trail events. This tour has been carefully planned in such away for you to gradually adapt and acclimatize. Runners fly in and we meet you at the airport in Lima. Regardless of what time you arrive in Lima we have a Hotel for the day for you to relax and recover from your flight. 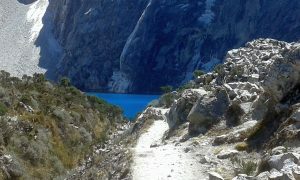 Then later that night we take a VIP bus (Sleeping reclining Bed Seats) overnight to Huaraz arriving at 7am the next day. Arrive in Huaraz and check into the Hotel. Welcome meeting and tour introduction with our guides, and relax. Later we take Guided walk to visit the Markets, Museums and Plaza. Then In the afternoon we do a short run just out of Huaraz on the Cordillera Negra (Black Mountains) foothills with views of the city and the snow capped peaks of the Cordillera Blanca. Tonight we stay in Huaraz 3000m. This morning we awake early and have a short transfer south of Huaraz for 20 minutes and then begin the Hike/Run to Wilcacocha Lake 3600m. This is a lake in the Cordillera Negra and provides a spectacular view over the Huaylas Valley and amazing views of the Cordillera Blanca (White Mountains). 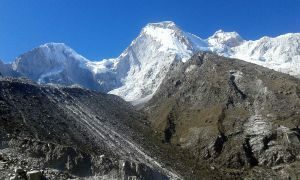 The easy terrain is perfect to continue our acclimatization to altitude Tonight we stay in Huaraz. Our first day in the Cordillera Blanca (White Mountains) above Huaraz. We awake early in the morning and hike and run the Lake Churup area, and parts of the Cojup Loop in the foothills of Huaraz. We then stop for lunch at the Yurac Yacu Community Cafe (Lazy Dog) and then descend further to visit the Willcauain Ancient Ruins site believed to be constructed from 600 to 900 AD. Tonight we stay in Huaraz..
Rest Day. Pachamanca lunch at the Yurac Yuca Cafe at midday then we have the Race Briefing between 4pm – 6pm at Trivio Restaurant in Huaraz. There will be a short presentation of the event along with information about the Cordillera Blanca and Huascarán National Park. This is where you pick up your race packet and bib number. Tonight we stay in Huaraz. All runners will meet in Parque Periodista in front of Trivio Restaurant in Huaraz early. Buses will leave for the Llanganuco Valley in waves from 4am through until 7am. 45k runners transfer to Illariy Lodge outside of Vaqueria , their race will start tomorrow on the World famous Santa Cruz Trek course. This is Race day for 13k, 30k and 80k runners. 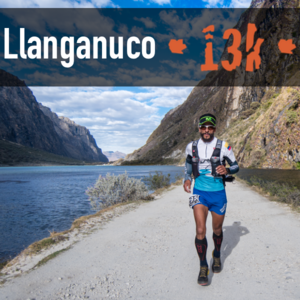 The course is an out and back following mostly dirt roads along side the beautiful, turquoise Llanganuco Lakes with one short section of smooth single track. With very little elevation gain, you will be able to enjoy views the cascading waterfalls, flowing glaciers, and towering 6000m peaks of the famous Llanganuco Valley. Steep up hills, high alpine terrain, great downhills. The Pisco 30k visits two of the most iconic places in Huascarán National Park, Laguna 69 and Pisco Base Camp, with some of the best scenery in Peru. and although shorter than the Santa Cruz 45k some might consider it just as difficult. With a steep uphill climb to the Refugio Peru, a high point of 4900m, and a 5km traverse above 4600m. 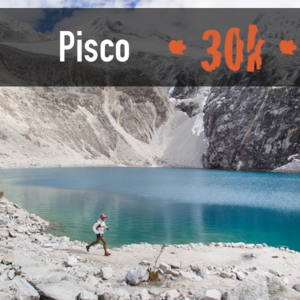 The Huascarán 80k 2-Day Stage Run will connect the Pisco 30k route with the Santa Cruz 45k for one unforgettable trail run through the Cordillera Blanca. 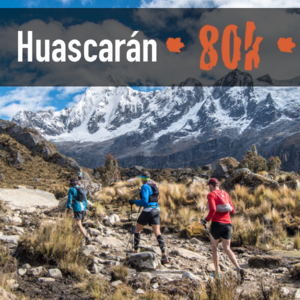 With three major high mountain pass crossings along some of the most scenic and popular trails in Huascarán National Park This 80k route will be divided into two very challenging days. This is Day 1 and will cover 35k and cross two high mountain passes. After their events the 13k and 30k runners will transfer to stay in Caraz for the night and then the next morning transfer up to Cashapampa and greet the 45k and 80k runners when they finish their race tomorrow. The famous Santa Cruz Trail passes through the heart of the Cordillera Blanca and is undoubtedly the most popular and scenic route through Huascarán National Park. Typically done as a 4-day point to point hike, one of the best hikes in the world and one of the hidden gems of South America. This is Race day for 45k and 80k runners. The course starts just outside the small village of Vaqueria on the eastern side of the Cordillera Blanca. Climbing just over 1300m in the first 18km to the top of Punta Union Pass at 4750m with one of the most amazing views in all of Peru. 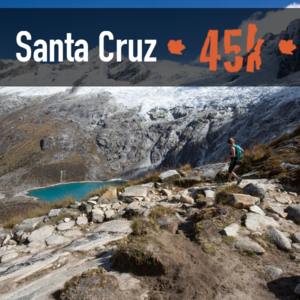 From here runners will descend down through the stunning Santa Cruz Valley passing many of the 6000m peaks, flowing glaciers and crystal lakes that define the Cordillera Blanca. Tonight we celebrate at the Sierra Andina Mountain Trail party at Trivio Restaurant n Huaraz. Food, beer, and music from 7pm. Tonight we stay in Huaraz. Today we have a well deserved rest day in Huaraz then later go to the Chancos Hot Springs and Sauna caves to soak and relax even more. Tonight we celebrate with a Dinner Party, then later we take a VIP bus (Sleeping cama seats) overnight to Lima arriving at 7am the next morning. This morning we fly from Lima early to Cusco (1.15hr). Check into the Hotel and rest. Later we take in Walking tours of Cusco and sample the Cities International Cuisine. Tonight we stay in Cusco 3400m. We awake early and run the foothills of Cusco City including some nice single track trails and descend back to the city. Then later we have an afternoon of sight seeing around Cusco with walking and Guided Tours of Cusco City ancient sites (including Qorikancha, Qinqo, Saqsayhuaman and the San Pedro Market). In the afternoon we transfer to Calca in the Sacred Valley. Tonight we stay in Calca 2800m. We awake early and start with a transfer up a stunningly beautiful valley into the mountains to the top of the Legendary Abra Lares (4461m). This views of this area are amazing. We run the Lares trail and descend for 2hrs and finish back in Calca. From here we and then transfer and continue along the Sacred valley town of Urubamba to share with a local family an authentic Peruvian Lunch. This afternoon we visit the Urubamba Market and later have a Guided Tour of the Maras Salt Mines and Moray. Tonight we stay in Ollantaytambo at 2840m. This morning we transfer early to the top of the Yanamayo Pass (4350 m). This run follows part of the Andes Chaski Challenge race course. .A total elevation loss of 1800m in 29k on the way back to Ollantaytambo (pronounced Ollan tay tambo). On the way stop at the Pumamarka Inca Ruin. Later In the afternoon we have a Guided Tour of the ancient Inca ruins here in Ollantaytambo. Then we transfer over the majestic Abra Makaga and down into the jungle region of Santa Maria 1051m. Tonight we stay in Santa Teresa and soak in the stunning Hot springs. We awake early to transfer to the Hydroelectric where we then run or hike the beautiful picturesque flat 11k trail along the river and railway line to the Machupicchu village of Aquas Calientes. After lunch we visit one of the 7 wonders of the world. This afternoon we spend visiting the breathe taking Citadel of the Incas, Machu Picchu. We are guided for 2.5hrs then are free to explore for another 3hrs perhaps walking to the Sungate, or climbing Machu picchu mountain. We then say goodbye to this incredible place and take the train to Ollantaytambo and transfer back to Cusco. Tonight we celebrate with a Farewell Dinner Party in Cusco. Morning in Cusco. Transfer to airport or other transport. 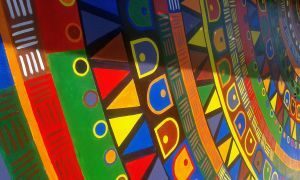 Onward journeys: Staying in Cusco, Peru or South America? We are happy to help and can advise you on all possible activities and destinations you want to visit. The close off date to book this Tour August 4th – 17th with a deposit is June 9th 2019. To book this Tour please click through to fill out the Booking Form and submit. This is an email booking, we will reply to you with information on how you can make payment of the deposit and confirm your booking. A $800 USD per person deposit is due within 7 days of you receiving the booking/payment information from us. The deposit confirms your spot on the tour. We have a minimum of 4 runners to Guarantee this tour. Please Do Not Book your Plane Tickets until you have received notification from us that we have Guaranteed this tour. This tour is for Intermediate/advanced fitness runners. All runners are expected to train to prepare for this tour. We want you to come on this tour prepared so you will enjoy it more. Insurance. You are required as a condition of booking to be insured against medical and personal accident risks. We recommend that you take out a policy once you have received confirmation that the tour is Guaranteed, which covers trip cancellation, your baggage and equipment. Flight Information. We will email you flight information and recommended equipment details. Full tour payment is due 1 Month before the tour.